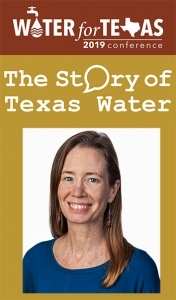 DBS&A Vice President and Senior Geologist, Kevin Hopson, P.G., and Senior Hydrologist, Stephanie Moore, P.G., will be attending the Water For Texas 2019 Conference, hosted by the Texas Water Development Board (TWDB). DBS&A is a proud sponsor of this event, which takes place from January 23-25, 2019 in Austin, Texas. DBS&A is committed to participating in the continued discussion and improvement of water policy, emerging management trends, education, and research in Texas and around the world. Click here to learn more about DBS&A Water Resource Services.